Yesterday I was part of a six person Typographic jury. I always wish everyone could see the judging process. I wish there was a hidden camera and it was live on ITV3 or something. Because then people would see how passionate the judges are. People would see judges arguing into the night about the positioning of a strapline. People would get to see how amazing the organisation is; to get 50,000 pieces of work judged in week is some feet. 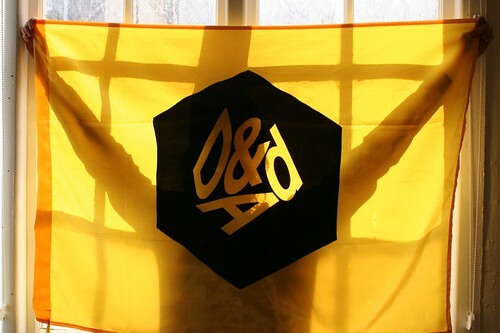 This is important because this is the reason D&AD is so special. This is the reason you want to win one. It's bloody hard to win a pencil and rightly so. But it's not hard for the sake of it, it's hard because the judges really care about the craft in their discipline. They really care that the best works gets in and that the average gets left out. And those judges range from the experience multi award winners to the new kids on the block. There's no industry cabal. Just people who appreciate good work and want that work to get rewarded. 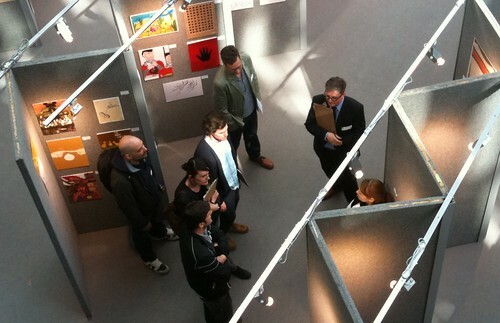 I enjoy judging D&AD. It's hard work, but fun. 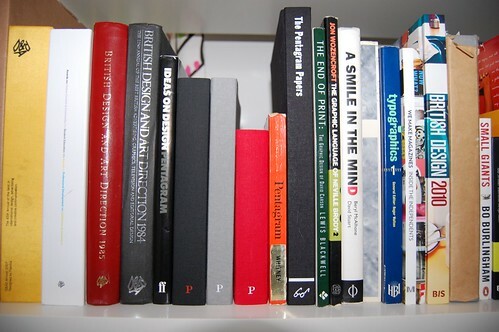 And it reminds me why I love design. 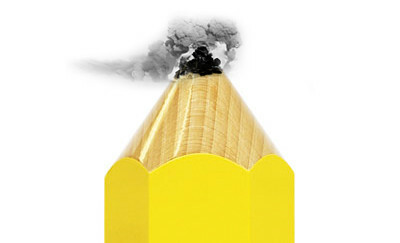 I'm judging at D&AD tomorrow. Something it's a privilege to do. Always hard work, always interesting, always fun. This year Nominations are being announced 'live' which is a brilliant idea. I think you follow the Twitter hashtag #dandad to see them announced. I'm not sure how much I'll be able to reveal whilst I'm there but I'll try and blog when I can. We've been promised free wifi throughout Olympia, but you know what event wifi can be like. The legendary Edward Tufte is speaking in London on the evening of 19th May at the Royal Geographical Society. It's been organised by the lovely people at Contagious (who featured us in their Most Contagious list last year) and Jess has very kindly offered me 4 tickets to give away to my listeners. 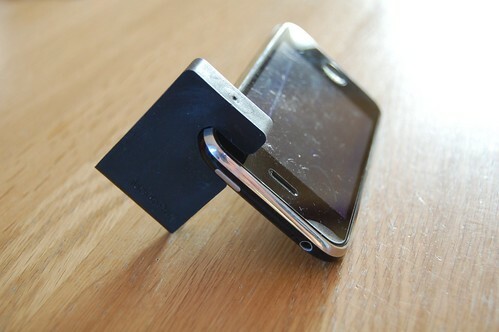 This is the Movie Peg, a simple little device that holds your iPhone at an angle. 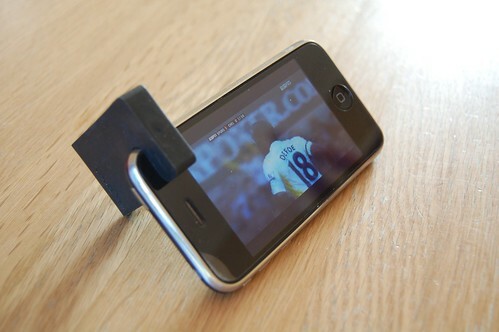 This is me watching Spurs vs Chelsea on Sky Sports on my iPhone held by the Movie Peg. We've already discussed Sky Sports on the iPhone. Somehow this is amazing. 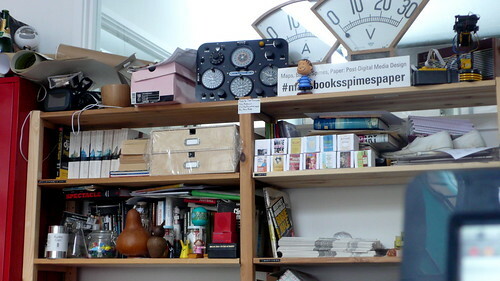 Like Alan Rusbridger said the other day about the iPad, "Brilliant, important...but probably interim. Like everything." 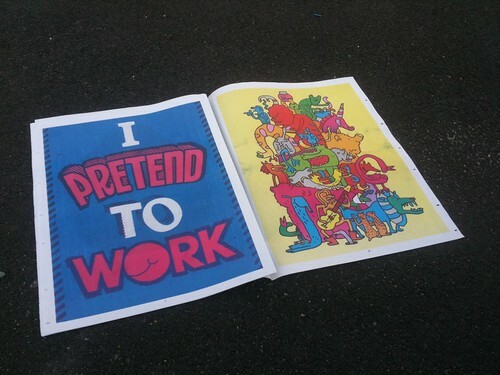 Meanwhile, over on Newspaper Club Andy Smith has made this gorgeous thing. 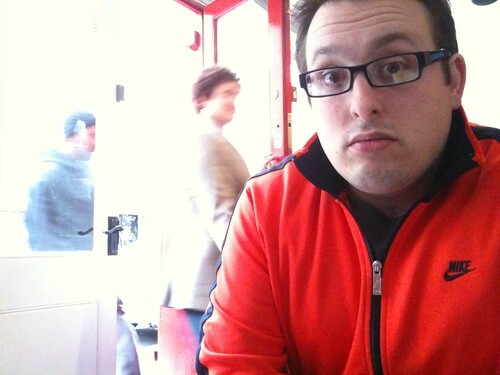 I just had a coffee with Douglas Van Der Fresh and one other person. It's probably time for a RIG update. So I'll write one. Soon. But I thought you lot would enjoy this.